Eight Passover tales for all ages. 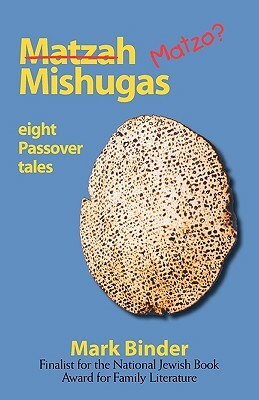 Lead sinker matzah balls, stolen afikomen and unexpected dinner guests... "Matzah Mishugas" is the latest collection of Chelm stories by award-winning author Mark Binder. What happens when the men and women of Chelm change roles? Where did Reb Stein's "mega-matzah" go? And did Mark Twain really visit Chelm? These are delightful stories to read and share. The book also includes a recipe for "Preparing Family Stories." Readers will learn how to interview relatives and preserve family stories for future generations.